Hi Kanan thankyou for that great recipe ???? I made it for the first time and came out quite well for a first timer. However I faced a few problems. I couldn’t get a big paratha like you. In fact you have shown equal amount of stuffing as big as the dough ball. But I placed a little amount of stuffing and for that itself I wasn’t able to roll out smoothly, the stuffing came out of a few parathas and also I had to stop rolling when it reached only medium size as I feared the stuffing will come out if I roll more. Hence I got the the small sized parathas. Where am I going wrong? My second problem is I have got lot of extra stuffing. What can I do with it? 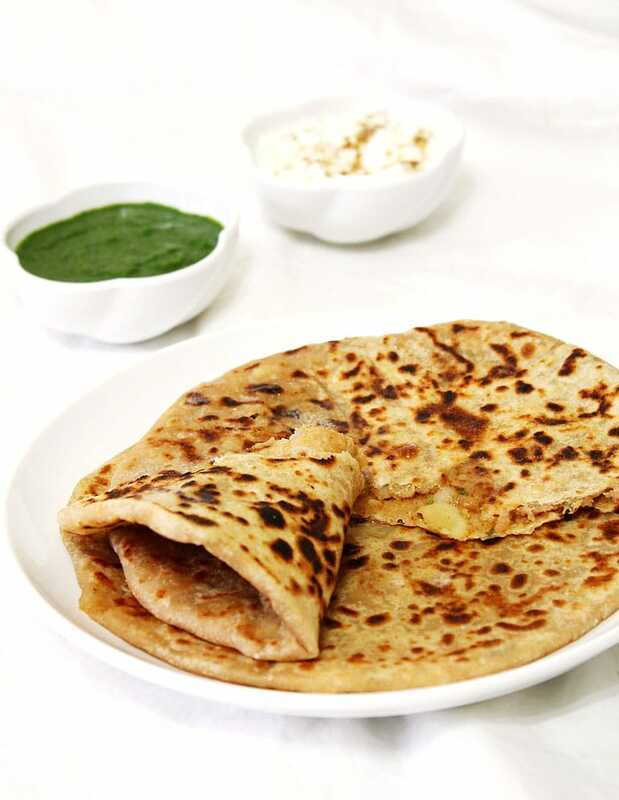 Rolling stuffed paratha takes practice. 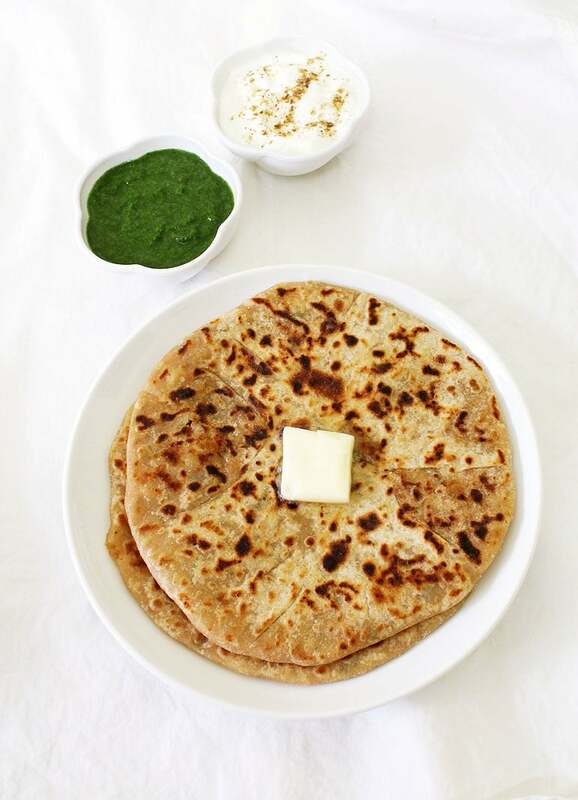 roll the paratha gently without giving too much pressure. 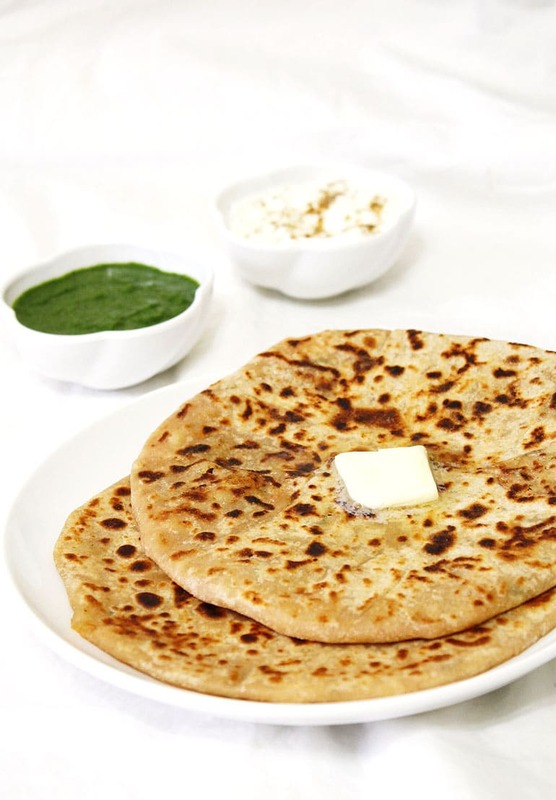 One thing, if the stuffing is too loose and soft then paratha will break while rolling. as you have said, you used little stuffing. so later of course you will have extra stuffing leftover. So you can use that to make sandwich or make kathi roll. What I need to do if I want my aloo paratha soft as when prepared for the next day. 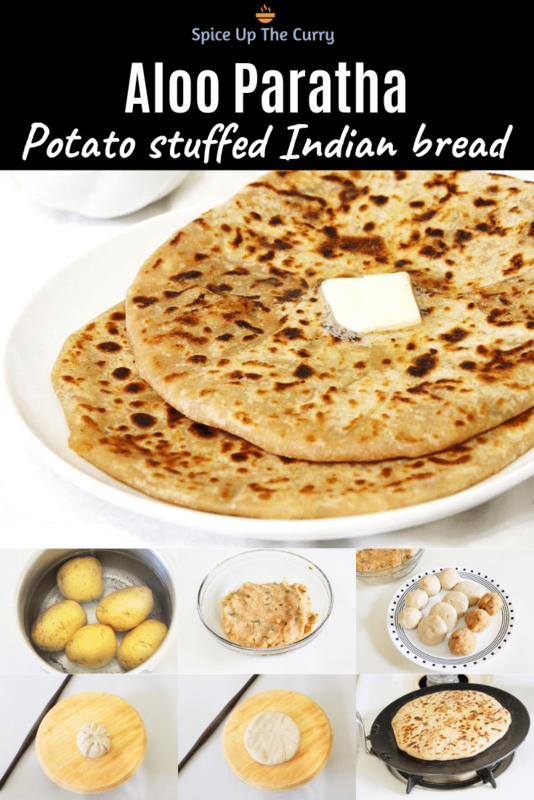 And if I keep aloo paratha in deep freezer for 1 night and reheat next day is it going to be hard and less tasty? Yes you can freeze it and re-heat it. it will be fine.